"They have to do everything correctly 100% of the time." Aw, puppies!! An official trailer has debuted for a film titled Pick of the Litter, a documentary about puppies. No, really. The film is actually about the process of choosing the right dog to be trained as a Guide Dog for the blind. I feel like there have been films made about this before (a few from Japan perhaps) but why not another one? Everyone loves dogs! At least I do. The documentary, from filmmakers Don Hardy Jr. & Dana Nachman, follows dogs as they are trained for two years. It also spends time with the Guide Dog community and introduces us to some of the people who end up getting these dogs as their companion and best friend. This actually looks adorable, of course, and I'm curious to see it. This is premiering at the Slamdance Film Festival this month, surprisingly enough. 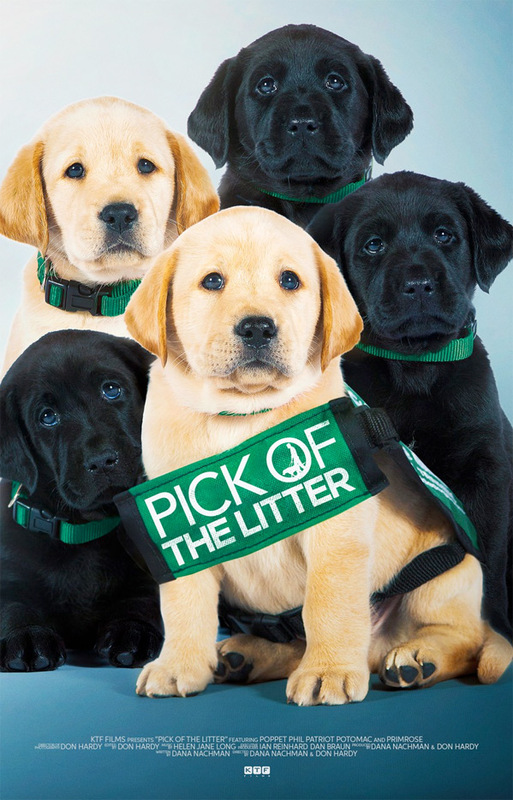 Pick of the Litter follows a litter of puppies from the moment they're born and begin their quest to become Guide Dogs for the Blind, the ultimate canine career. Cameras follow these pups through a two-year odyssey as they train to become dogs whose ultimate responsibility is to protect their blind partners from harm. Along the way, the dogs meet a community of dedicated individuals who train them to do amazing, life-changing things in the service of their human. The stakes are high and not every dog can make the cut. Only the best of the best. The pick of the litter. Pick of the Litter is co-directed by filmmakers Don Hardy Jr. (Witch Hunt, Love Hate Love, The Human Experiment, Theory of Obscurity) and Dana Nachman (Witch Hunt, Love Hate Love, The Human Experiment, Batkid Begins). This film is premiering at the 2018 Slamdance Film Festival. No release date has been set yet, stay tuned for updates. Who wants to see this? !